Perhaps some of the biggest bits of Bitcoin news this week are the upcoming changes to cryptocurrency taxation in Japan. The land of the rising sun has been warming up to Bitcoin and consorts in recent months, and regulators have taken notice of this increased interest. Rather than making it more difficult to obtain cryptocurrency, regulators are planning to remove the sales tax on Bitcoin once and for all, an interesting development that may have widespread ramifications. Buying cryptocurrency in Japan is slightly different from what we are used to in the Western world. Unlike most other countries, Japan has officially declared Bitcoin as a legal currency in the country, giving it a more mainstream appeal. This is good news for companies dealing in cryptocurrency, as they can offer an officially recognized form of alternative finance. Unfortunately, there is still one drawback to this whole ordeal. Buying Bitcoin as a Japanese resident is subject to an eight-percent sales tax, based on the amount purchased. To put this into perspective, buying US$500 worth of Bitcoin means there is a US$40 sales tax to take into account. For those traders looking to scalp profits from price fluctuations, that is far less appealing compared to other commodities they can obtain. While one might argue this sales tax gives Bitcoin an even more legitimate appeal in Bitcoin, the government is looking to shake things up. 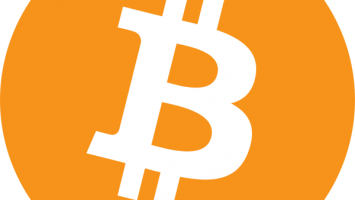 There is a plan on the table to remove the Bitcoin sales tax altogether in the coming months. In doing so, the government confirms their open-minded approach towards cryptocurrency and alternative forms of payment. Whether or not this decision will have an immediate impact on the Bitcoin price is anybody’s guess right now. It is evident for everyone to see Japan could become a major driving force for Bitcoin adoption in the coming years. Right now, there are over 2,500 stores accepting cryptocurrency payments already, and that number will, most likely, increase even further before the end of the year. Meanwhile, everyone involved in Bitcoin is well aware of how China remains the biggest cryptocurrency trading region in the world. Over 90 percent of daily Bitcoin trading volume originates in China, as the country’s traders show an increased appetite for risky investments. Given the struggles of the yuan, that is anything but surprising, as investors, traders, enterprises, and consumers start looking for ways to escape capital controls. A multitude of stars have to align perfectly before Bitcoin will be seen as a mainstream global currency. Japan removing the Bitcoin sales tax, and the continuing struggles for the yuan, create an interesting scenario with lots of Bitcoin potential. It is still too early to tell if either event will have a significant impact, but it is safe to say Bitcoin is starting to gain the recognition it rightfully deserves.